Inyoite, named after Inyo County, California, where it was discovered in 1914, is a colorless monoclinic mineral. It turns white on dehydration. 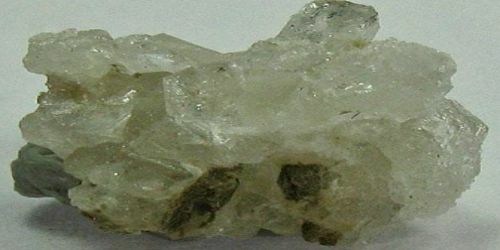 It is a colorless and transparent borate mineral that occurs as massive granular or spherulitic aggregates in borate deposits. Its chemical formula is Ca(H4B3O7)(OH)·4H2O or CaB3O3(OH)5·4H2O. Inyoite mineral is consisting of a hydrous calcium borate occurring in colorless monoclinic crystals (hardness 2, specific gravity 2). Color: Colorless, white on dehydration. Occurrence- Along fractures and nodularin sedimentary borate deposits; maybe authigenic in playa sediments. 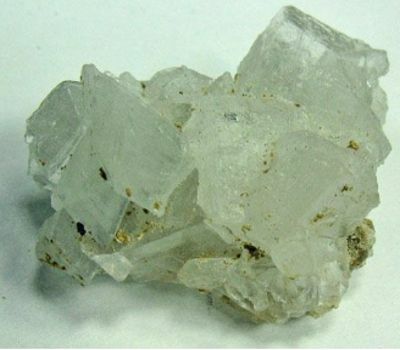 Originally found near Death Valley, in Inyo County, Calif., U.S., inyoite has also been discovered lining gypsum deposits at Hillsborough, N.B., Can., and in western Kazakhstan. Association: Meyerhofferite, colemanite, priceite, hydroboracite, ulexite, gypsum.